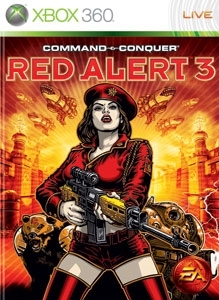 Famed girls of Red Alert 3 are here to melt your Xbox 360. Download this Theme featuring Jenny McCarthy, Gemma Atkinson, Autumn Reeser, Gina Carano, and the rest of the sultry cast from RA3. After seven years, Red Alert is back! Go back in time and battle alongside your friends and Hollywood stars in an action-packed, over-the-top world, as the bestselling and most beloved series of the Command & Conquer franchise returns. Play the campaign with three factions – Allied, Soviet, or the all-new Empire of the Rising Sun – or team up with a friend in the first-ever full RTS co-op campaign on air, land, and sea! Includes over one hour of HD footage starring the biggest live-action cast ever in a video game! Welcome back, Comrade. There are no refunds for this item. For more information, see www.xbox.com/live/accounts.